The Northern Illinois University 12 Month MBA Program accepts one cohort each winter. Classes begin in January and students finish course work in 12 months. Classes are offered at NIU Hoffman Estates. Attending class just two evenings per week, students earn their MBA in 12 months. Students attend class every Monday and Thursday evening. A typical schedule runs from 6:15 until 10 p.m. with a 15 minute break for refreshments at 8 p.m. Additionally, classes are broken into groups of students and expected to meet up at least once per week outside of normal classroom hours. Program fee includes a nine-day international trip, which is usually scheduled in March. These experiences generally include a combination of company visits, government briefings, and university lectures. Past trips have gone to Lisbon, Portugal and Barcelona, Spain. 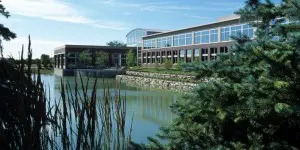 The Northern Illinois University 12 Month MBA program is designed for working professionals who already have gained management and business understanding through either an undergraduate business degree or completing equivalent coursework. Students are expected to enter the program with an understanding of the following subjects: Business Information Systems, Business Statistics, Financial Accounting, Fundamentals of Financial Management, Graduate Survey of Marketing, Legal Aspects of Business, Principles of Management, Principles of Operations Management, and Survey of Business Economics (both Macro and Micro). These knowledge areas are considered prerequisites to entering the program and can be tested out of by passing a course-specific exemption exam. The core curriculum includes managerial accounting, financial and operations analysis, organizational behavior, management of information systems technology, strategic policy, and marketing and management. In addition to the core curriculum, students are expected to complete three elective courses. These can be selected based on students’ professional working needs and interests. Some elective options include: a negotiation course, conflict management, a global integration course with an international experience, and a capstone experience that incorporates a case competition. An international trip is included in the curriculum. Class size is capped at 40 students. International students make up between 3 percent-5 percent of the class. The program is about 60 percent male and 40 percent female. Average student age is 33 with a range of 27-54. The typical student has, on average, about nine and a half years of work experience. The program is billed as a “mid-career” MBA option. Professional career counselors are available to help students and alumni with all facets of the job search. The Career Resource Center holds a walk-in resume review and also offers access to an array of job search information and databases. Finally, there are a number of on-campus career fairs hosted throughout the year. As noted above, there is significant prerequisite coursework for the 12 Month MBA program. Students who have completed undergraduate business degrees or equivalent coursework (and received a grade of C or better at the undergraduate level, or B or better at the graduate level) should submit their transcripts for evaluation prior to the full application submittal. Applicants are required to complete the online application, submit a $40 credit card payment over NIU’s secure server, include two written recommendations from professional associates, and complete the Statement of Purpose form. Additionally, official transcripts from any undergraduate programs and official GMAT scores must be submitted. Finally, for students with sponsoring employers a supervisor, manager, HR representative, or other company official must sign and complete the Sponsor Agreement form. Applicants must submit the graduate application form and supporting documents by December 10. Classes begin in January. What Chicago MBAs Can You Earn the Fastest?